Summer months conjure up images of picnics, lazy days in the sun and lawn mowing. If it is time to buy a new lawn mower, consider the best mulching mowers to make your job easier, and improve the quality of your lawn. Whether you want a comfortable ride, a push-mower that propels itself with ease or a simple mower for small, tight spaces, there is a mulching mower that's perfect for you. This top-notch mulching lawn mower encompasses the very best of riding-mower technology with a zero-radius turn drive to make easy work of tight spaces or steep curves. Riding around trees, or out of sharp corners, is a breeze with this mower. It comes with a 44-inch deck, an 18-horsepower Kohler Command OHV engine, a flexible discharge chute that easily changes from a mulching to a bagging system, a 5-gallon fuel tank and a top-speed of 7 mph. The Time Cutter even has adjustable arm rests for total comfort. Extra attachments available include a snow blower, vac bagger, snow blade, light kit and hour meter. For more information, visit www.toro.com. For big-boy power in a push mower, the self-propelled Honda HRX217K2HXA is the way to go. A 4-in-1 ready system has mulcher, bagger, leaf shredder and shoot all in one easy-to-use unit. It has variable-speed control, and even cruise control for super-easy sailing on larger areas. The Honda HRX217K2HXA cutting deck has seven cutting heights for the perfect lawn. Large ball-bearing wheels cover ground effortlessly, and it comes with a five-year residential warranty. For more information, visit www.hondapowerequipment.com. This little gas lawn mower is another Toro product. It is push-operated, with all the mulching capabilities of the big boys. It has low emissions and a CARB-certified engine with a side-discharge for mulching. Take care to keep this mower out of inclement weather and dry it after use on moist lawns, because it is prone to rusting. 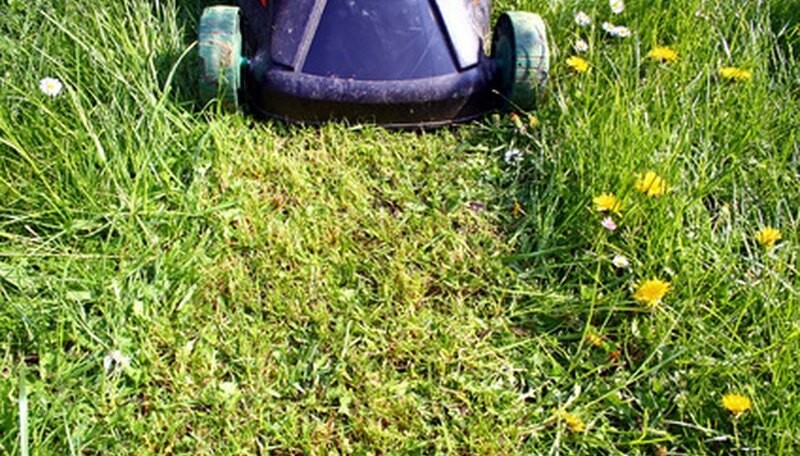 The Lawn-Boy works best on small, tight spaces where a bigger mower is difficult to operate. For more information, visit, www.toro.com.